No Social Share • Our ProgressGOOD NEWS! We have a saddle! GOOD NEWS! We have a saddle! So we had the saddler back out today and we have finally got a saddle again after nearly a month! 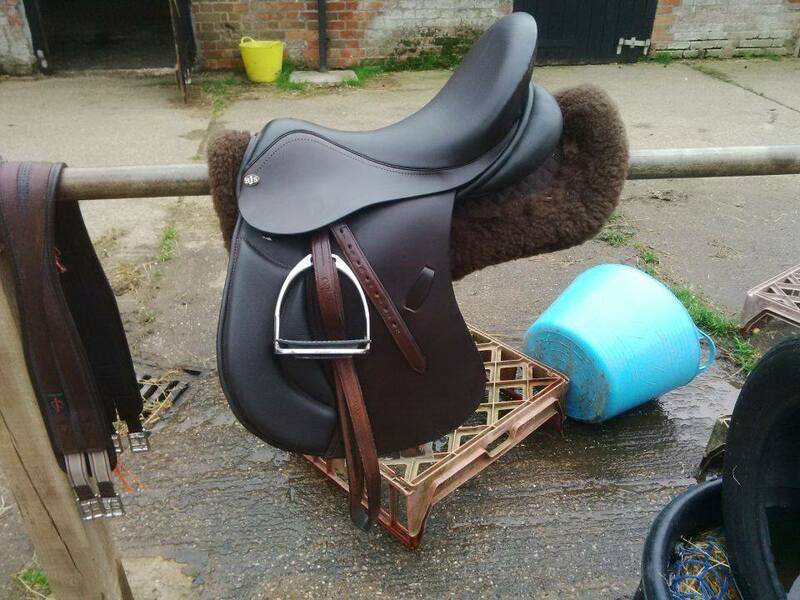 It is a lovely BJS GP saddle which is fully adjustable, nearly all leather, brand new and brown. I’m really happy with it and more importantly, Scottie is comfortable in it! It cost a little more than I was looking to pay but since it’s adjustable I don’t really mind and I’m just glad we’re able to get back to work. I had to buy a new girth as Scottie has gone up several girth sizes since being off and has also started blowing out when you try and do the girth up at first… which isn’t helpful, but hopefully once he gets back to work he will lose some weight and stop blowing out, as this is a new thing! Now we have a saddle, I am hoping to be able to put enough ground work in to enter E Dressage this month and hopefully will have more fun posts to share about our progress soon! Horse & Hound's Ask The Vet : and my other choices. Thank you 🙂 It’s actually a GPD type though. Scottie needs a straight edge for his big shoulders! I know it’s crazy isn’t it! I had never really heard of VSD and GPD which are basically straight cut GPs or dressage you can jump in until I got Scottie, never needed to think about it before! It’s so pretty and curvy! yeah I’m a bit like that with it atm!